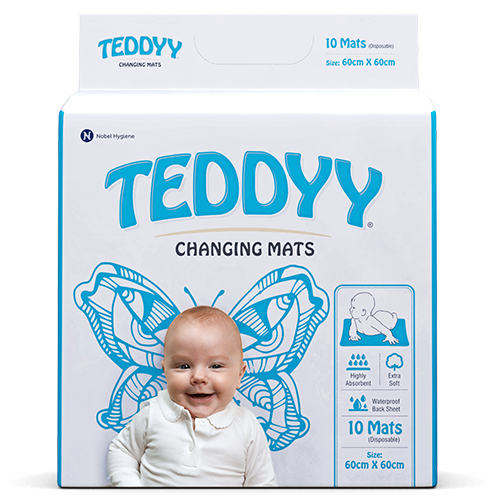 Teddyy has been specifically designed keeping in mind the Indian baby. Great affordability, Greater comfort. 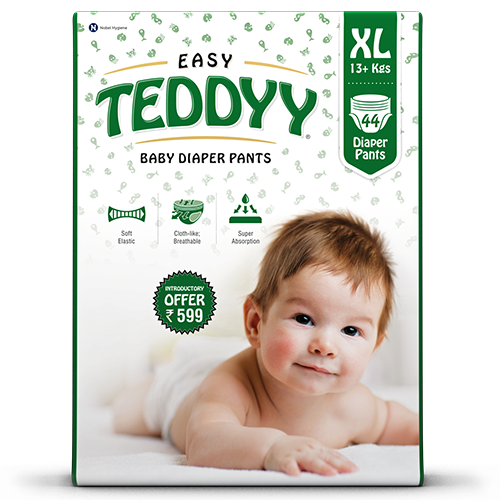 Our Easy line of diapers ensure better breathability and comfort by making use of its anti-bacterial absorbent core, re-sealable side tabs and wetness indicator. Premium traits, exclusive serenity. Premium baby diapers come with a cloth-like backsheet and standing leg guards which corroborate ultra-level protection and no side leakage! 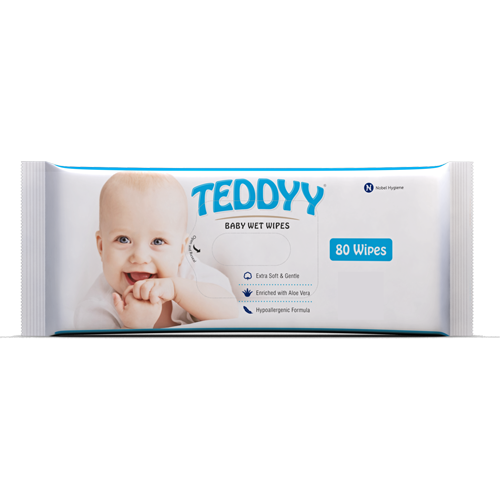 Our range of wet wipes are perfect for meal time, play time or potty time. 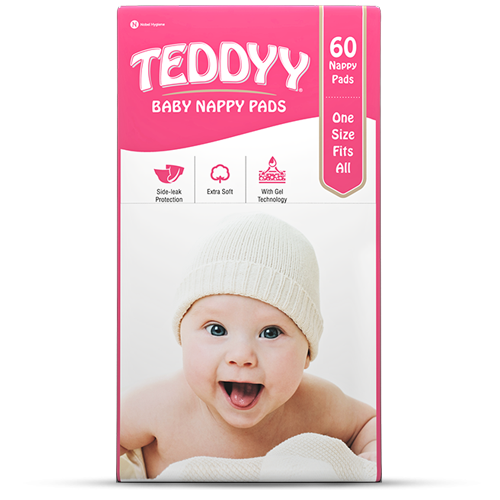 They are extra soft and gentle enriched with Vitamin E and Aloe Vera. Our Nappy Pads have a leak proof back sheet with elastic garters to make it more comfortable and adhesive tabs so it keeps the nappy in place. They are also super absorbent.